Just under a year ago, regular readers may remember, my Book Spotlight featured "The Lines of Tamar", the debut novel by Sheila Mughal. The previous review can be found here. It is a mystical thriller featuring biblical characters, a little folklore and some very well researched genealogy which I thoroughly enjoyed reading. 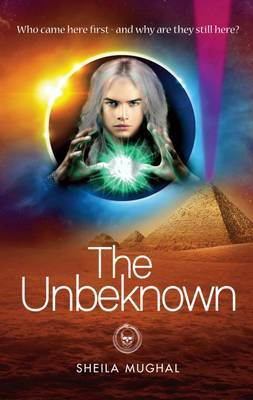 So I was delighted when I was asked to review Sheila's sequel novel - The Unbeknown. Like it's predecessor, this story is set in modern times but draws on many centuries of historical background to weave a tale that enthrals and enchants in equal measure. Starting in 1793 with four young boys exploring a labyrinthine system of caverns and tunnels that hide a secret that cannot be revealed to the outside world, the story moves to the present day and follows the life of a young stage magician. How are his strange abilities linked to the happenings of centuries before? Embarking on a paranormal detective mission, his journey takes him to many places but it is the discoveries within himself that are the most revealing. A mix of alien conspiracies, sacred scriptures, demonic conjuring and lost biblical prophecies are all pulled together to create a truly unique novel that was a pleasure to read. The Unbeknown by Sheila Mughal is available on Amazon. You're welcome and thank you. It was a pleasure to read.